Deep Dish versus Thin Crust-Which does your Network Resemble? As a prolific networker I am always looking for ways to better utilize the many connections I make. At the same time I also recognize that it is incumbent on my part to have something to return to others in the networking process. As I continue to think about personal networks, my thoughts moved to one of my favorite topics, food, especially pizza. Pizza is served in many ways, but one of the most conventional comparisons is Deep Dish versus Thin Crust. Just about every major chain offers both and there are multiple varieties of each. Networks can be analyzed in a similar manner and that is something I will explore briefly in this post. 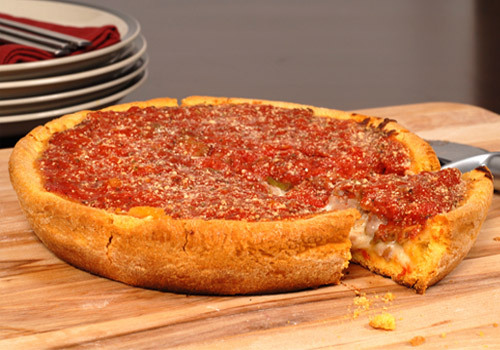 When I think of Deep Dish pizza I think of depth and volume. Some deep dish pizzas are almost obscene in their volume, but they are filling and voluminous. Thin Crust pizza is similar, but the crust, the backbone is not as substantial and typically more brittle than the deep dish crust. Both types of pizza can be covered with a variety of items; cheese, sauce, onions, sausage, pepperoni and many more items can be added. Personal networks have some striking resemblances to pizza. Some are "Deep Dish" while others are "Thin Crust." How are they similar and how do they differ? Which is better? Let's explore this a little further. Thin Crust networks can be very broad. 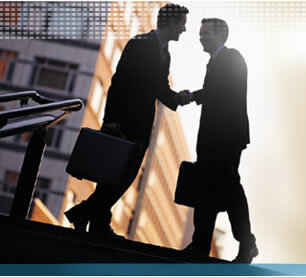 They may encompass a wide expanse of markets or types of people based on age, gender, market, commonalities and other factors. At times I see my network this way, especially the online component of my network through LinkedIn, Facebook, Twitter and other social networks. I love Thin Crust pizza, but sometimes a Thin Crust network can leave me a little hungry. On the other hand, there will always be a part of my network that will be Thin Crust, or more superficial. This is not a bad thing, but I always need to keep in mind the depth of a linkage when it comes to who I can help them or be aided by the same. Deep Dish networks can be very filling. When you compare a Deep Dish and Thin Crust of the same diameter we should all agree that the Deep Dish will be more filling and take longer to consume. Deep Dish networks are much the same. My personal network has A, B and C contacts with the A's being those I know well, the B's being those I know somewhat and the C's being those I either don't know or don't know yet. Many of my A contacts were B or C contacts at one state. Depending on the situation there are very specific times where the Deep Dish contact or network is desirable versus the Thin Crust. On the other hand, the Deep Dish will take longer to develop and utilize when you consider the circumstance, so this needs to be kept in consideration. What about your network? 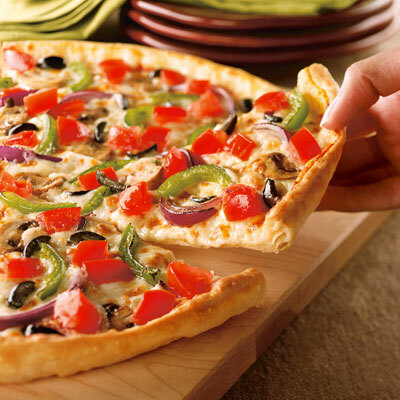 Are you all Thin Crust or do you prefer Deep Dish? Do you see a need to have some of both? All of this talk is making me hungry. I'll stop for now and pop a Pizza in the oven. Let me know your thoughts. Does this analogy make sense to you?